Going to the gas station to fill up my car with gas is a chore. Yes, I realize that’s one of the most “First World Problems” statements ever, but it’s the truth. Refueling is a hassle. And based on the recent success of Booster Fuels, I’m not the only one who has grown a little tired of the archaic exercise. The Texas-based company, which just raised $9 million in funding, partners with corporations to offer on-demand refueling for employees. 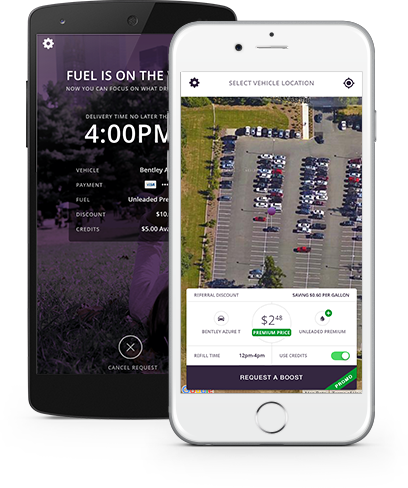 An employee simply parks their car on their corporate campus, requests a refuel using the Booster app, leaves their gas tank open, and then goes to work. While they’re at work, a Booster truck comes and refuels the car. Because they purchase their gas wholesale and service entire campuses, they are able to offer competitive prices for both standard and premium gas. Currently the service is only available to employees of companies who are part of the Booster Fuels corporate program, but according to a representative in the company, the startup has plans for “providing service in residential areas as well in the future” – a big bonus for those of us who work from home. Booster also offers window cleaning and tire-shining. This industry hasn’t changed much in a long time. Our goal is to provide a more cost-effective and energy-effective way to get this chore done that doesn’t involve you having to go to the gas station yourself. 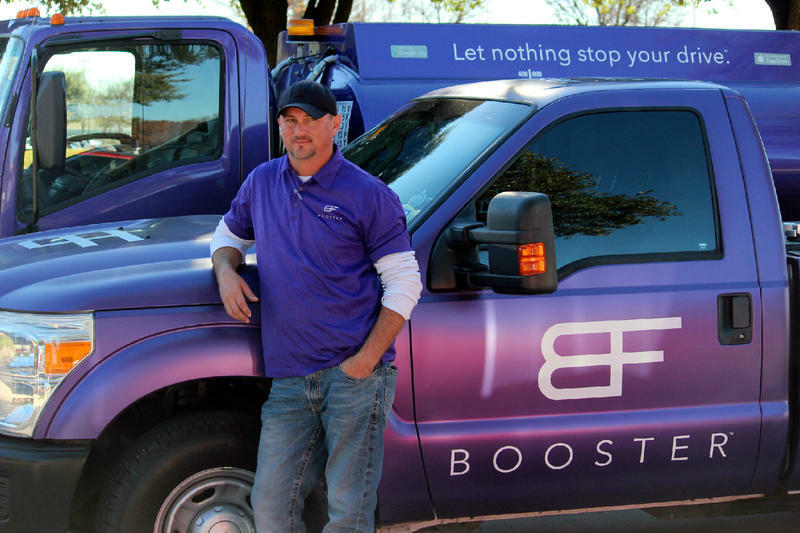 Up to this point, Booster had only been available in Texas, but now that they’ve secured funding, they plan on expanding their operations into North Texas and Silicon Valley. Booster seems like a perfect fit for companies seeking to expand the perks they offer to employees beyond yoga classes and smoothie bars. An employee who spends 8-12 hours per day working doesn’t want to waste time pumping gas; they want to get home and be with family and friends. It’s hard to imagine a busy professional with a family not appreciating the service. Booster also provides an alternative job for commercial truck drivers used to hauling fuel long distances in enormous tractor trailers. The company uses trucks that are about the size of a Subaru Outback so that they can easily maneuver in tight parking lots. The trucks hold 800 gallons of standard fuel and 400 gallons of premium fuel. You show up to work. You pull out your phone. You press a button. You go to work. When you come out at the end of the day, your tank’s filled up. Your tires are clean. Your windows are washed and you drive straight home, never having to stop at the gas station. Booster is ready to disrupt an industry that has been largely unchanged over the past 50 years. I can’t wait for them to come to Florida. If i was working long days and my company offered to have my tank filled when I walk out the door, I’d be cool with that. A nice perk.